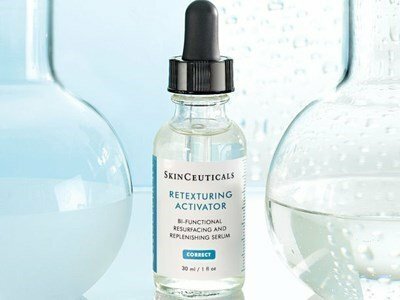 Focused on irregularities of the skin tone, and the associated imperfections, the team SkinCeuticals developed Retexturing Activator. A revolutionary combination of active principles, which renew the cutaneous surface, through a cell exfoliation the cell, which standardizes the skin, and an additional facial moisturizing, leaving skin with a uniform and healthy aspect. 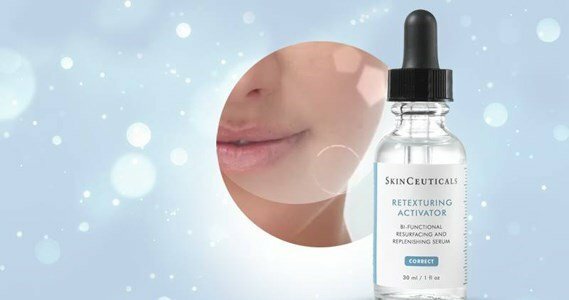 This serum with a ultra light texture, stimulates enzymes that promote peeling, renewing the skin surface without compromising barrier function. In addition, normalizes the skin's hydration level and inhibits glycation, which visibly reduces fine lines, leaving the skin smoother, softer and radiant. 0.2% Hyaluronic Acid check hydration. Apply twice a day on previously clean and dry skin. Put 4 to 6 drops in the Palm of your hand, using your fingertips, apply on the face, neck and arms. Can be used during exposure to the Sun, during pregnancy and on sensitive skin. Indicated for combinated, oily and acne prone skin.